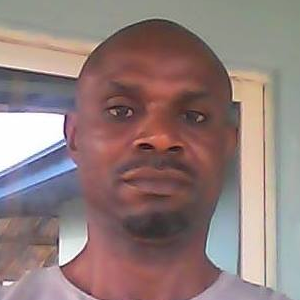 Human rights legal adviser,grant proposal writers and financial expert. Volunteering is free.Except your to pay for your accommodation and other things needed by you. Suite 25/26 Kaolux Shopping Plaza,Ajara, Lagos, Nigeria. 89% response rate , 63 hour(s) response time. 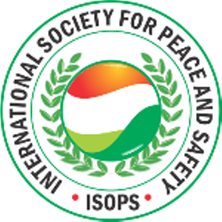 International Society for Peace and Safety, (ISOPS) is a Non-governmental Organization, with a network of individuals in every nook and cranny of Nigeria. The organization is registered in Nigeria to assist in restoring peace, safety and human rights in Nigeria and worldwide. Mission: To spread the work of peace, safety and human rights through education, training, and an enlightenment program with network of individuals and organizations with like minds. Our goals: Educating young people in schools, community and workplaces so that they will understand their rights and respect the rights of others. Work safely and create generations of young people who are committed to peace in themselves, in their communities, and in the world. My experiences of violence, injustice, and human rights violations in my community at my tender age- led me to realize that the environment in which young people live affects their attitudes and behaviors negatively or positively as they grow. This realization about violence and abuse of human rights in which the young people have become the instrument used to perpetrate this act, inspired me to pursue a peaceful means of helping to build peace and stability in young people through schools, communities, and workplace in Nigeria. Oyaifo Kashetu is the founder of International Society for Peace and Safety (ISOPS) He is trained in peace, safety and human rights education which involves Conflict management, Conflict Resolution, Alternative Dispute Resolution, Mediation, Negotiation and Peacebuilding.The Human Rights experience includes activist and advocacy in Gender based Violence, Female Genital Mutilations, HIV/AIDS, and the marginalization of the less privileged. I have led both local and international workshops in peace, safety and human rights. I became involved in several local and international projects to fulfill our goals in creating a world in which all humanity will live together in peace, prosperity and survive with non violence means. My background in peace building training includes Peacejam Foundation programs, United State Institute for Peace, and Youth for Human rights International. These studies gave me the in-depth knowledge to effectively carry out my work. We at International Society for Peace and Safety would love to hear from you!